This week on Who We Become we are working on a technique called “Filling the Frame.” This involves zooming in on our subject, even cropping out much of it, in order to focus on certain details. 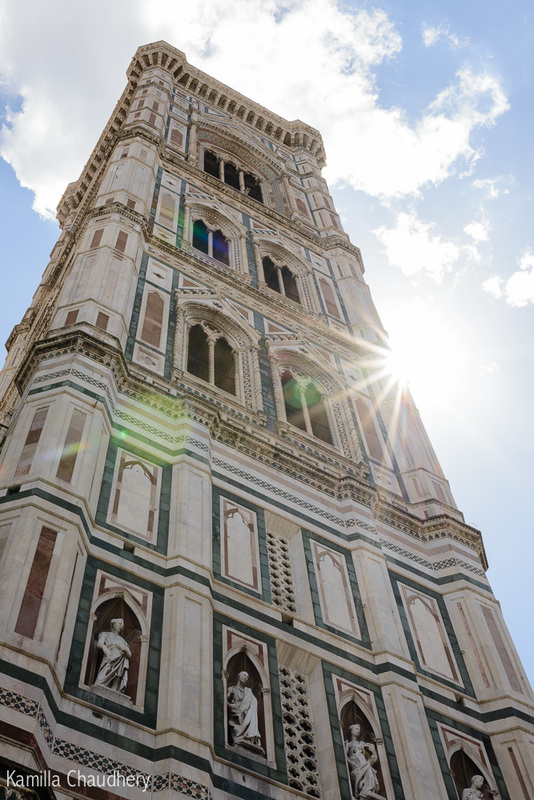 This image of Giotto’s Campanile in Florence is from our recent trip to Italy. The campanile, or bell tower, is located in the historic center of Florence, just next to the Duomo (Santa Maria del Fiore) and across from the Baptistry – all very beautiful and quite famous buildings. Images trying to capture all these buildings together (like this one, for example) tend to lose all the details in the mass of marble and such. By focusing on the single building, you become aware of details you might otherwise not notice. Please click HERE to visit Who We Become and see everyone’s Filling the Frame images.